How many episodes of Jeeves and Wooster have you seen? Bertie: [stuck looking after a dog] What are you doing tonight, Jeeves? Jeeves: I shall stay in with an improving book, Sir. Bertie: Wouldn't you rather stay in with an improving dog? Long before he achieved stardom in the U.S. for playing the tortured, acid-tongued title character on "House, M.D. 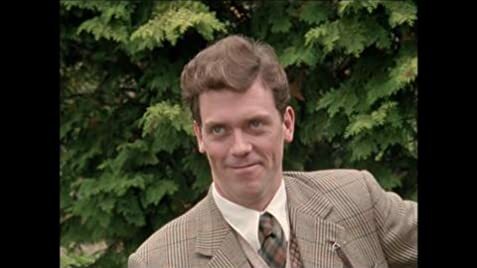 ", Hugh Laurie played Dr. House's polar opposite, Bertie Wooster, on the British TV series "Jeeves and Wooster" from 1990 to 1993. With the help of his frequent co-star Stephen Fry, Laurie brought P.G. Wodehouse's beloved characters from the classic "Jeeves" series vividly to life. 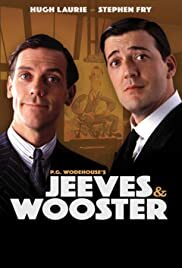 The TV series follows the misadventures of dapper, doltish young millionaire Bertie Wooster, and his indispensable, saintly valet Jeeves (played to poker faced perfection by Fry). Every story was convoluted and gloriously silly, with Bertie being tangled in one ridiculous situation after the other (usually of his own doing), but always coming out on the right side of it... and always with help from the relentlessly patient Jeeves. Many familiar characters are here, from cranky, meddling Aunt Agatha to Bertie's brainless chum Bingo Little. But Laurie and Fry are the real reasons to watch. Laurie somehow makes the foppish, clumsy Bertie truly lovable, and his rubber-faced mugging could put Jim Carrey to shame. Fry somehow keeps Jeeves from being bland and dull, and he is almost an omniscient being, the way he never fails at bailing his fatuous master out of trouble. Plus, he never gets annoyed at Bertie's constant mangling of popular songs while playing the piano (check out the pilot, where Bertie attempts Cab Calloway's "Minnie the Moocher", complete with the hi-de-ho chorus). So, is this a splendid little series worth checking out on DVD? As Jeeves would say, "Indeed, sir." 67 of 68 people found this review helpful. Was this review helpful to you?